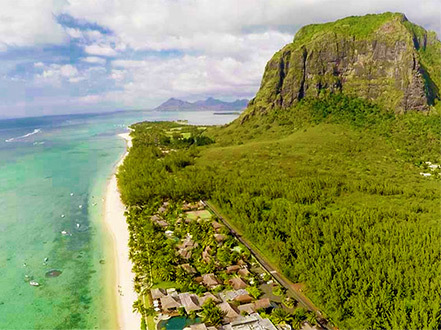 The hotel Heritage Le Telfair Golf & Spa Resort is nestled in the heart of the ‘Domaine de Bel Ombre’ between the mountains and the unspoiled South coast of Mauritius. This elegant and refined hotel, which welcomes its guests into a setting inspired by Mauritian 19th century colonial architecture and style, is set in magnificent tropical gardens through which Citronniers river flows. This peaceful haven offers a variety of luxurious and discreet accommodation that are spacious and decorated with fine white woodwork. Heritage Le Telfair Golf & Spa Resort has a wonderful selection of restaurants that propose an infinite range of flavours. The main restaurant Annabella has an interactive show-kitchen; Gin’ja is a Pan-Asian restaurant on the beach. Guests also have access to the Château de Bel Ombre and the restaurants of neighbouring Heritage Awali Golf & Spa Resort. Sport fans have access to a plethora of land and water sport activities, a fully equipped fitness centre and a spectacular 18-hole championship golf course. The Seven Colours Spa invites guests to indulge in a unique luxurious spa experience with personalised treatments set in beautiful lush tropical gardens. In the Deluxe rooms, the fabrics and carpeting used are all in natural materials, wool and cotton in soft shades of green, light beige and cappuccino. There are 50 Deluxe Room. - (54-62m2). (81m2). Heritage Le Telfair Golf & Spa Resort offers a variety of luxury Mauritius accommodation in a discrete village design with 20 different villas of 6 or 8 rooms. 158 rooms and suites have beautiful views with floor to ceiling French windows, private balconies or verandas. - (104m2). The two ultimately exclusive Ocean Suites of the Heritage Le Telfair Golf & Spa Resort enjoy a prime location facing the beach and the ocean that can be admired from their large veranda. A lounge, a dining room, a beautiful four-poster bed, a dressing room, an outdoor shower and a separate guest WC are just a few of the amenities available. The suites can accommodate two adults and a child/teenager and is cosy for three adults. The spacious en-suite bathroom is finished with earthenware wall tiles and a mosaic floor with old motifs and coordinates harmoniously with wood and mirrors to create a warm atmosphere. Six Senior Suites have a spectacular view of the Bel Ombre lagoon – with connecting rooms if necessary. They are ideal for family holidays in an elegant and romantic atmosphere enhanced by the antique furniture and a four-poster bed draped in a light veil that looks like those mosquito nets that were used back in the old days. The suites all have an en-suite bathroom as well as a spacious and very practical dressing room. Ground floor suites also have an outdoor shower. (54-62m2). 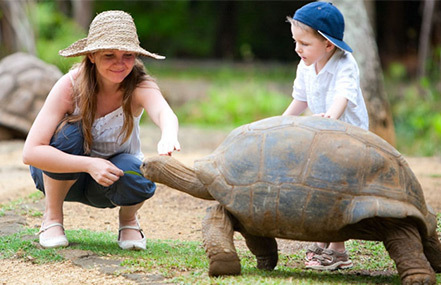 Heritage Le Telfair Golf & Spa Resort offers a variety of luxury Mauritius accommodation in a discrete village design with 20 different villas of 6 or 8 rooms. 158 rooms and suites have beautiful views with floor to ceiling French windows, private balconies or verandas. Deluxe Beach Front rooms are not all ground floor located but offer panaromic and uninterrupted beach view. (102m2) . The Heritage Le Telfair Golf & Spa Resort offers eight family-friendly Senior Suites – six of them have a spectacular view of the Bel Ombre lagoon – with connecting rooms if necessary. They are ideal for family holidays in an elegant and romantic atmosphere enhanced by the antique furniture and a four-poster bed draped in a light veil that looks like those mosquito nets that were used back in the old days. The suites all have an en-suite bathroom as well as a spacious and very practical dressing room. Ground floor suites also have an outdoor shower. Heritage Le Telfair Golf & Spa Resort offers a variety of luxury Mauritius accommodation in a discrete village design with 20 different villas of 6 or 8 rooms. 158 rooms and suites have beautiful views with floor to ceiling French windows, private balconies or verandas. Divided into four distinct areas, the Resort, allows customers to choose the décor that best suits the preference of the day. A traditional open kitchen enables guests to watch the food being prepared by the chef. 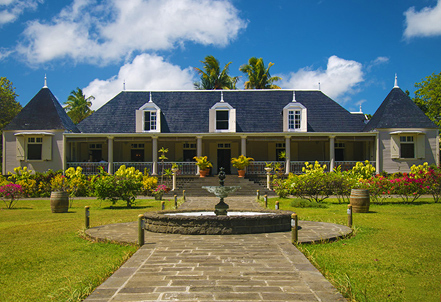 Cuisine: International and Mauritian Cuisine with local fresh products and appropriate wines. 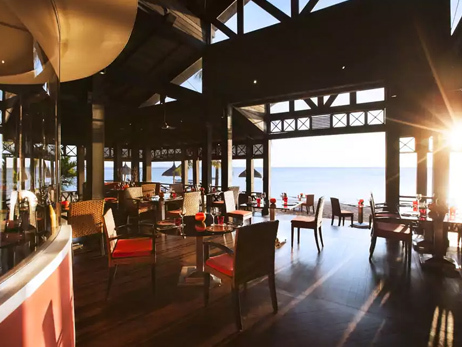 The Gin’ja Restaurant offers a culinary escape to the heart of Asia while keeping your feet in the warm sand of Mauritius. Facing the ocean and listening to the waves lapping the strip of white sand bordering this restaurant, let your mind and palate wander to the shores of Asia and experience its culinary wonders. Cuisine: Flavourful, spicy and colourful ; Pan Asian. In the heart of the Domaine de Bel Ombre, the Château is a sought-after venue for hungry gourmets craving for authentic local cuisine. This historic mansion has been restored with taste, while maintaining the spirit of the original décor, to offer a dining experience like no other. 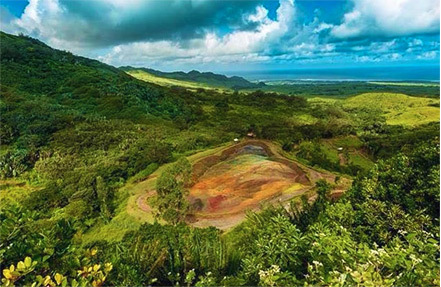 Cuisine: refined Mauritian cuisine using local products. Cavendish Bar & Lounge is the ideal venue to enjoy a light snack, an aperitif, local rum or a digestive in a relaxed piano bar atmosphere. The décor is enhanced by beautiful coffered ceilings decorated with old arms. A fine selection of cigars and a wide variety of teas, a very cosy corner offering a snooker table and a library are also present. The Seven Colours Spa Village is one of the most beautiful well-being centres in the Indian Ocean and a haven of serenity in the heart of the Domaine de Bel Ombre. Set in an African village decor, the Spa is immersed in a world of serenity and harmony, surrounded by water ponds and lush tropical vegetation. It provides a total well-being experience with a unique and personalised approach. The exclusive treatments designed according to the healing power of colours are tailored to the individual needs of each guest to rebalance the energies. The 18-hole, par 72 championship course of the Heritage Golf Club on the Domaine de Bel Ombre was crafted with the utmost care to incorporate the features of a naturally hilly landscape. 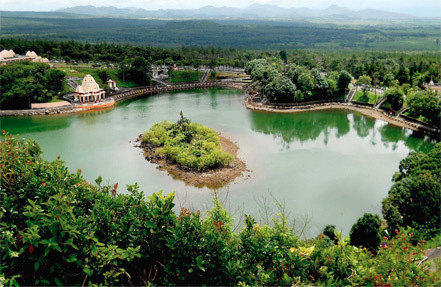 Set in the middle of stunning natural scenery and dotted with small lakes and streams, it combines the pleasure of the game with exceptional views. Besides providing a challenge for golfers of all levels, the Heritage Golf Club allows them to hone their skills on a 9-hole par 3 course integrated at the heart of the championship course, a putting green, a chipping green and a driving range. A PGA pro also offers lessons including the use of video analysis for beginners and players who want to improve their game.